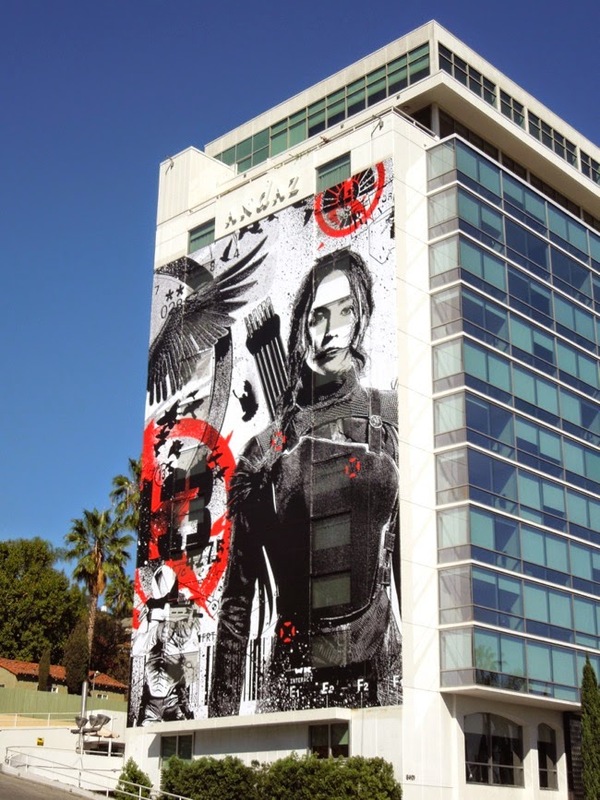 An awesome new promotional mural for Mockingjay - Part 1 has been created by WK Interact, the same artist who made the SDCC exclusive poster in July. 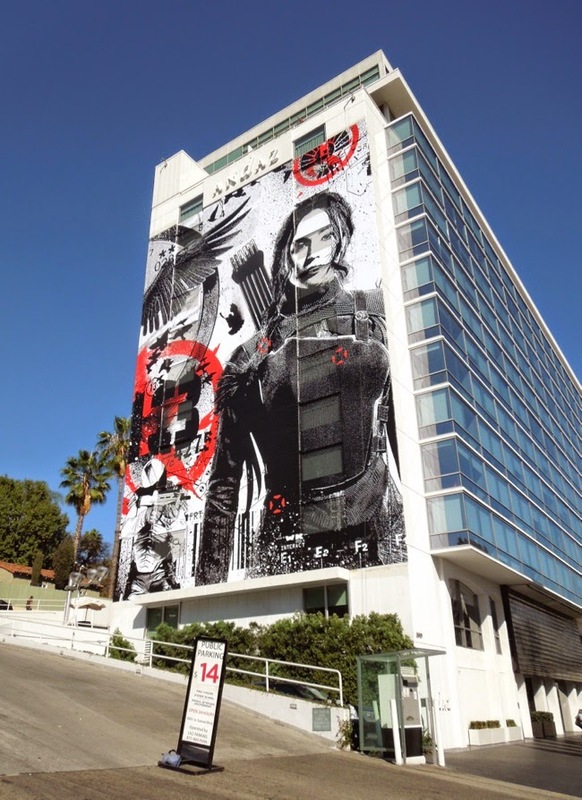 This is my second step project for #Hungergames it s going up right now in west coast !! Kind a cool ! 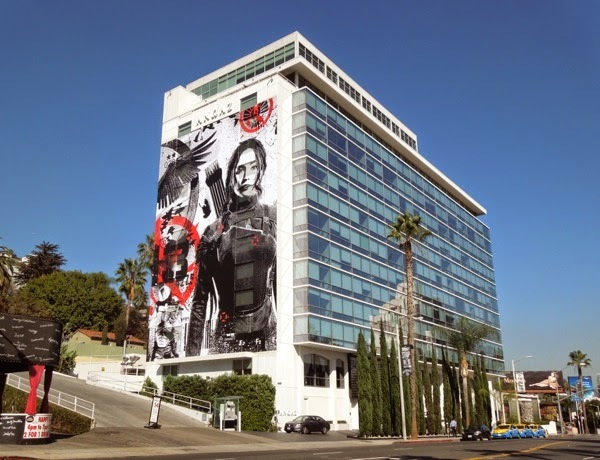 The mural is currently on display at 8401 Sunset Blvd, West Hollywood in California. 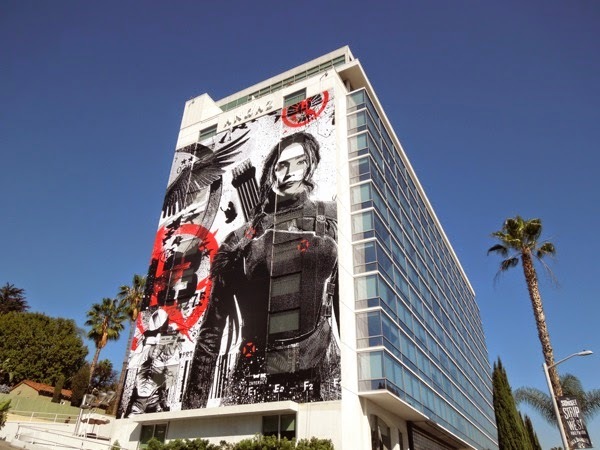 Hopefully we'll get a poster version of this as well!